Stalon muzzle brake reduce majority of the recoil from shooting (apx: 65%), the gas ports are adjustable with the supplied screws. 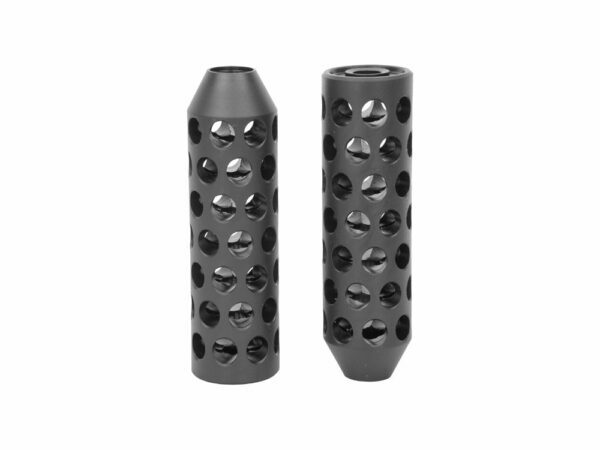 The muzzle brake is ideal for all types of hunting and shooting. Stalon muzzle brake effectively reduces recoil and barrel flip from shooting the rifle. With the help of the supplied screws, the gas ports can be closed to eliminate barrel flip and / or prevent dust from being thrown up from the ground when shooting. The Stalon muzzle brake reduce the recoil for up to 65% measured in caliber .308 and 30-06 and is perceived to be approximately equivalent to the recoil from a cal. .222 rifle. The muzzle brake is made of steel and therefore can withstand large amounts of shooting and heat, even the supplied screws are made of steel, making it a perfect accessory for exercise shooting. 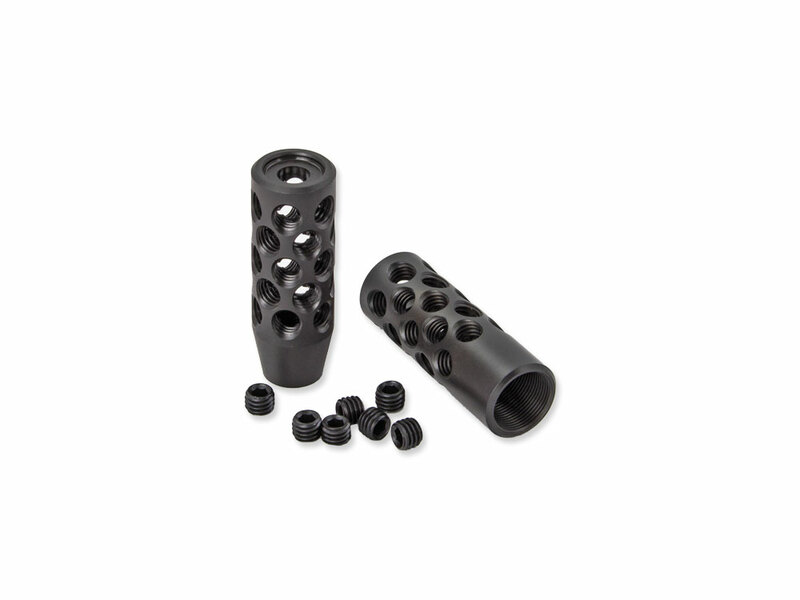 The muzzle brake is made with a chamfer against the barrel as standard on some threads (see specifications) so that the transition from the weapon to the muzzle brake will be as aesthetic as possible. The muzzle brake is mounted directly on the thread of the weapon. 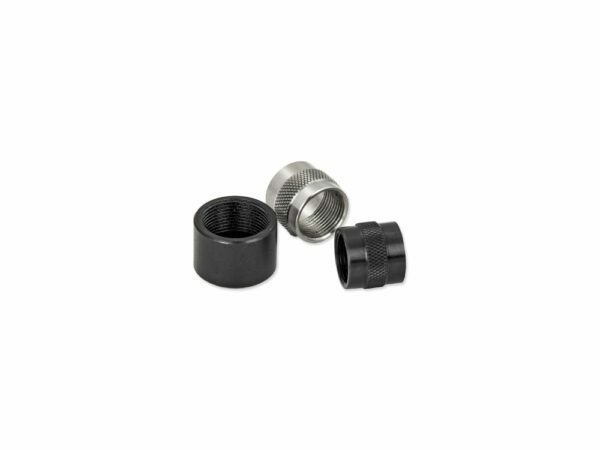 Before mounting, we recommend that the thread and caliber is verified on both muzzle brake and weapon. Always fit the muzzle brake to a well lubricated thread. The Muzzle brake is supplied with 7 screws for adjusting gas ports, these screws can be screwed into optional ports on the muzzle brake. Before the screws are screwed into the ports, we recommend that the weapon be tested without adjusting the muzzle brake, in many cases the adjustment screws is not needed. The adjusting screws are mounted on the underneath (lower part) of the muzzle brake to reduce any barrel flip from shooting, do not use all the screws at once but start with 3-4 until the desired level is reached. After mounting the muzzle brake, the point of impact can be changed and it is therefore important that the weapon is tested before hunting.